Well, that thing is not exactly laminar flow. The GM motorhome appears to be reasonably well shaped, but one of the posters above reports it only got about 8 mpg, which is terrible. Surely, there is a good basic shape out there, suitable for improvement with undertray/pizza pans/wheel spats/air dam/reduced aero mirrors, etc.. 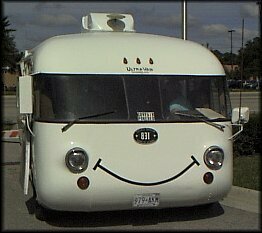 Remember the motor in the GM motorhome when placed in another vehicle also typically got 8mpg towing or not. Perhaps use it as a good rolling chassis and put a 6.2 diesel and a 6sp manual inside? It would be slow as mollasses but get better FE. Yes, the entire 455 Olds V8 and transaxle setup from the Toronado/Eldorado. There have gotta be a lot of possibilities for swaps. I'm sure there's something more efficient these days that could be swapped in. To my knowledge,the distinction would fall with the Vixen,long dead now. Relying on memory ( risky ) with her TD BMW 5-cyl she could knock down around 21 mpg in real highway driving. The roof tilted up for overnight stays.No Cd was published.I would have estimated it at 0.30 or a tad under based on FKFS Omnibus images from Germany.Maybe Cd 0.27. When I read the heading that was EXACTLY what came to mind!!! Alll the car mags tested it because...well it could be parked in a garage!! And that turbodesiel form BMW actually had some decent times. I remember thinking.....huuuuummmmmmmm......I should save this artcle and buy one used some day! FYI, this is a very interesting project. Last edited by dcb; 05-09-2010 at 09:32 AM..
"15 to 18 miles per gallon achieved by most Ultra owners traveling 50 to 55 miles per hour"
I had a 13ft scamp and it pulled very efficiently behind my old diesel pickup. I would think the Sprinter platform with a pop-up roof would be a good candidate. Corvair Ultravan looks aerodynamically good. Could be made even better by adding a boat tail- extension. This is the sort of thing I had in mind when I started this thread. An Ultravan could be made even better with undertray, optimized wheel fairings, pizza pan wheel covers, removal of all that extra crap from esp. the front, flush windows and doors, recessed aero handles, smaller aero mirrors placed where the slipstream is slower, replacement of the headlights with conformal shape, etc.. The Corvair engine is less than optimal, as air cooling means enriched fuel mixture for evaporative cooling. Today, a TDI engine would be in order. 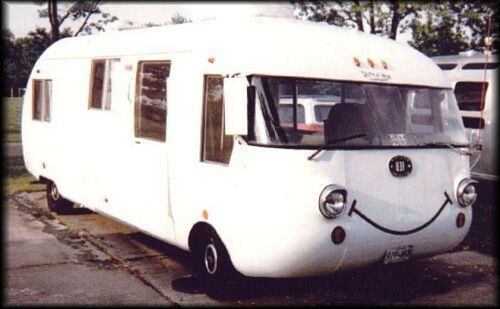 That said, what recently made motor homes are most like the Ultravan in shape and size?